Search Mappy Hour for news and inspiration. 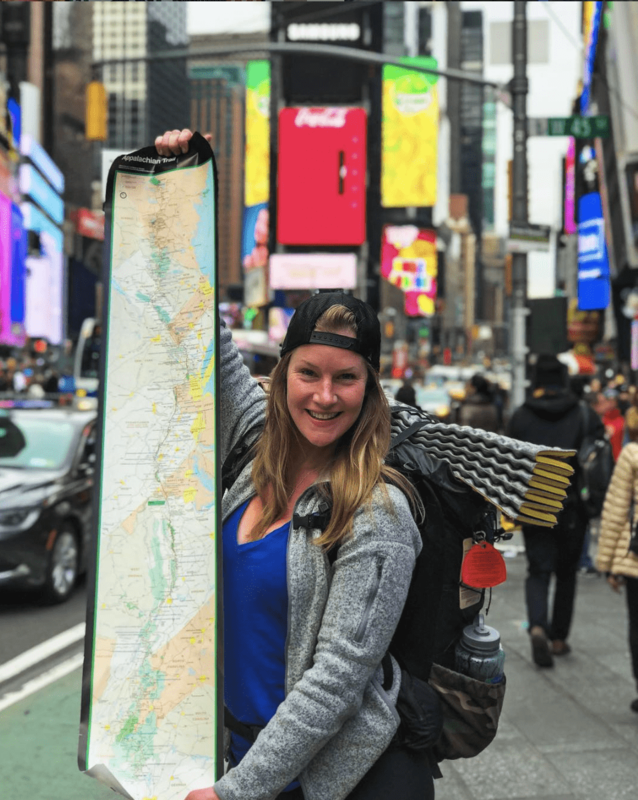 We got a chance to hop on the phone with Mappy Hour NYC Member Alexa before she sets off for the Continental Divide Trail (CDT) tomorrow. Below are her words, transcribed from the phone call and edited for flow. Want to submit YOUR story? Head to submissions here. I recently finished hiking the AT in December and now I’m setting off on a thru-hike of the Continental Divide Trail (CDT). I lived in New York City for 7 years and in Philadelphia before that for 4 years. Cities always felt like home until I started exploring more of the outdoors. I’m also connected to the city through art and my passion for connecting with artists. In my pre-trail career I was an art and antiques buyer for an architecture and interior design firm in Midtown Manhattan where we acquired and managed an art collection. I majored in Curatorial Studies and Textile Design as an undergraduate and then I got my graduate degree in Art Business. When I lived in NYC, I was fully involved in the professional art world. In some ways, I put my art career on hold when I went to the trail. I wanted to come back to a greater love for art when I was on the trail. When we hiked through thee Berkshires, we took a day off to go to Mass MoCA, one of the guys I was hiking with even participated in a performance art piece. When I was on the trail, I gained an even greater appreciation for art in part because I was no longer immersed in the commercial art world. Sketching, journaling, and writing about the outdoors became my art form. This is the art practice that I’m really passionate about. And I think being in the moment is one of the greatest lessons you can take from the trail back to the city. Just take it day by day. If you have big goals take baby steps to get to those goals. Be present in the moment. Appreciate what is around you rain or shine. Sometimes, just getting through the day is enough and eventually you get to Springer! Taking care of yourself is essential. You have to feed yourself, hydrate, and make sure you’re getting enough sleep. Self care means listening to your body when you’re tired, eating before you’re hungry and drinking before you’re thirsty. You also have to set plan and set goals for yourself: should today be a a 10 mile or 20 mile day? Where am I going to be happy at the end of the day? Socializing on a thru-hike is also a huge part of self care on the trail. The trail family bond can do wonders for your morale. There’s nothing better than rolling into camp after a tough day and hearing that everyone else stumbled and struggled over that stream. On trail, it was easy to let my guard down. Everyone is after the same goal, therefore, you connect easier and faster with others. I felt like I was more open to connecting with new people because people want to help you succeed. You have to be open to trusting people to get through it. Now, I’m that person who’s on the subway and will strike up a conversation. Being on the trail has made me more outgoing in a sense because I’m always looking to hear other people’s stories. 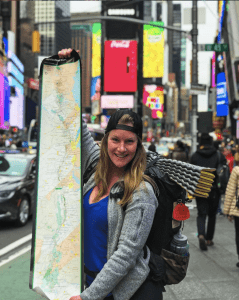 Follow Alexa as she heads on her next adventure to the Continental Divide Trail. 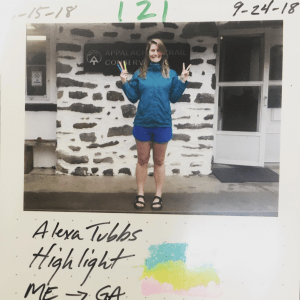 All photos from Alexa’s blog The Concrete Hiker.